You’ve got a busy day ahead. The baristas at your local coffee joint do, too. Neither of you really have time to play charades for every item on their menu. If you want your drink quick—and made the way you like it—you’ll need to master ordering coffee in Chinese. Coffee-loving expats in big cities like Shanghai are pretty spoiled in terms of how little Chinese they need to get by. China’s coffee culture has been booming recently, and at just about every corner you’re bound to find a Western coffee chain staffed with locals who understand generic orders such as a latte or an americano. But what happens when you walk into a busy Starbucks branch and the only person available to take your order is a barista-in-training who looks at you funny when you ask for a grande cold brew? You can’t expect that each Starbucks you come across will have English-speaking staff. You’re the foreigner in China, after all! Well, don’t fear! We’ll walk you through the formula for making your perfect coffee or drink order, from sizes to add-ons to ordering to-go and more. Plus, if you master this lingo, you’re tricking everybody into thinking that you’ve mastered the language! It’s also another way of incorporating Mandarin into your lifestyle, living your life and learning the language at the same time. But at the end of the day, the ultimate goal is to get through your order (and get that caffeine fix) in as little time as possible! Baristas are under an immense amount of pressure to perfect every single order in a timely manner. They probably don’t have time to explain everything on the menu if it’s all in Mandarin. The best thing that you can do is to not freak out when you see that the menu is Chinese. You want to show that you respect your barista’s time and hard work. You can do this by starting with a greeting, rather than going straight into your order. 我要一杯咖啡。 (wǒ yào yī bēi kā fēi.) — I would like a cup of coffee. 你好! 我要一杯咖啡。 (nǐ hǎo! wǒ yào yī bēi kā fēi.) — Hello! I would like a cup of coffee. Obviously, a statement like such isn’t sufficient, but for all intents and purposes, use this as the foundation in building your order. We’ll use this formula as a jumping off point throughout the rest of this post. Depending on the coffee chain, they may offer other types of teas. If you want the iced version of any of the above, just add the word “iced,” which is 冰 (bīng), in front of the drink name. As we’ve already established, the simple sentence “I would like a cup of coffee,” or whatever drink you’re ordering, doesn’t specify everything you might want. The next detail you’ll need to provide is the size of your drink. The size should be inserted before your actual drink of choice. Thus, the formula would look like this: Greeting + I would like a + cup size + drink. 你好! 我要一杯大杯咖啡。(nǐ hǎo! wǒ yào yī bēi kā fēi.) — Hello! I would like a large coffee. Most coffee places will follow the standardized sizing, which are small (小, pronounced “xiǎo”), medium (中, pronounced “zhōng”) and large (大, pronounced “dà”). This is actually easier than a lot of coffee shops with English menus, where sizes like “regular” can vary between small and medium, depending on the establishment. Of course, Starbucks has its own system for cup sizes, so let’s take a look at what each cup translates to in Chinese. Flavors, add-ons and customizations are perhaps the most important part of the formula for those that have specific orders in mind, whether it be due to taste or some sort of food allergy. Building onto the formula we currently have, the flavor would be inserted in between the size and the drink name, while the add-on would follow, making the sentence structure more or less like so: Greeting + I would like a + cup size + flavor + drink + with/without + add-on(s). 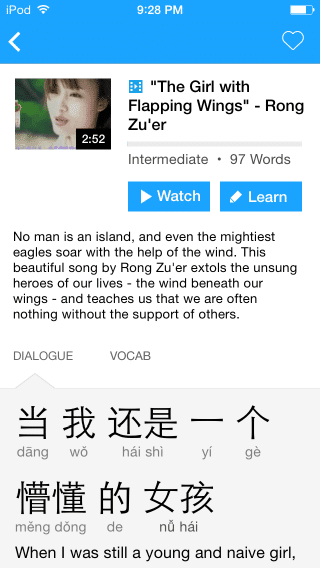 Note: “With/without” in this context would be translated as 要 (yào)/不要 (bù yào). Most cashiers will assume that you’re having your coffee at their establishment unless you specify that you’re on the run. To indicate whether it’s for here or to go, here’s how you would form your sentence: Greeting + I would like a + cup size + flavor + drink + with/without + add-on(s) + for here/to go. 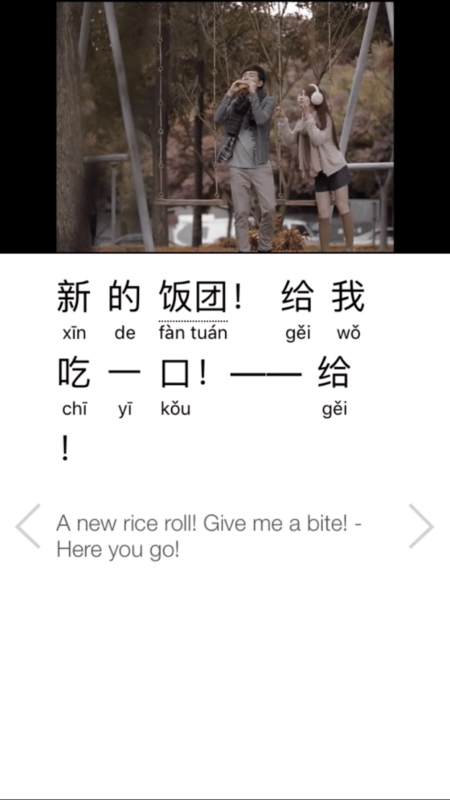 There are a couple of Chinese translations for “to go” and “takeaway,” and different cities in China will often use one more than the other. Let’s take a look at a few possible drink orders, shall we? Hello! I would like a tall/medium cold brew with soy milk to go. Thank you! Hello! I would like a grande/large coffee with low-fat milk for here. Thank you! I would like a venti/extra-large iced caramel macchiato to go. Thank you! Hello! I would like a short/small chai tea latte for here. Thank you! And that’s how you order coffee in Chinese like a local! Once you’ve got your usual order down, put yourself to the test and take a group order. It’s challenges like these that’ll really immerse you in the language and culture. 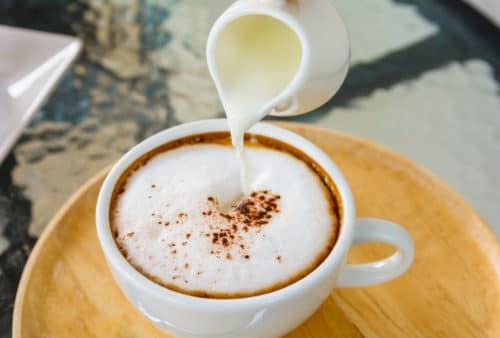 Of course, it may be a while before you can perfect all your different beverage orders, but remember that one of the keys to speaking better Mandarin is to not be too hard on yourself. Just keep practicing, and you’ll get there eventually. 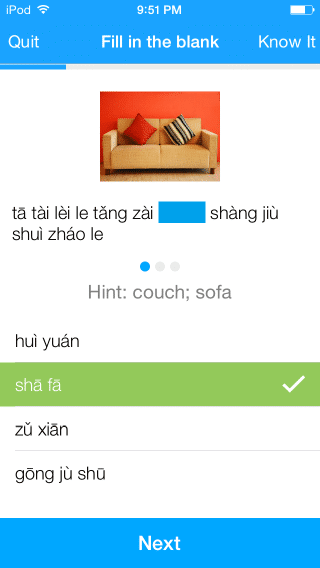 Want more conversational Chinese to go with that cup of coffee?